Table No. 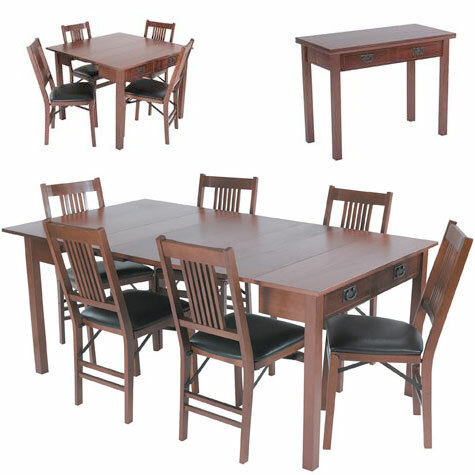 54272V – Expanding Dining/Card Table – This versatile, high quality Expanding Table is made of fine, gorgeous hardwood. The Expanding Table starts out as a console, and, with a few simple steps, the table can be transformed into a Card Table. Then, with two additional leaves, the Table can be expanded to a Dining Table. Fruitwood and Oak Table finishes are available.